Tricks to build in your home workshop. 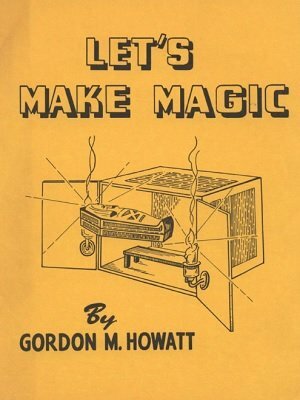 One big book tells you how to make all kinds of tricks, vanishes, productions, changes, liquid tricks, silk tricks, trick decks, levitation, jumbo card tricks, slate tricks, pocket tricks...Imagine! Fifty Tricks. Printed on large size pages to make it easy to study he plans. Simple tools are all you need to have all these new tricks for yourself. 1st digital edition 2014, 110 pages.